If you look for store that responds each visitor's action, try this one. 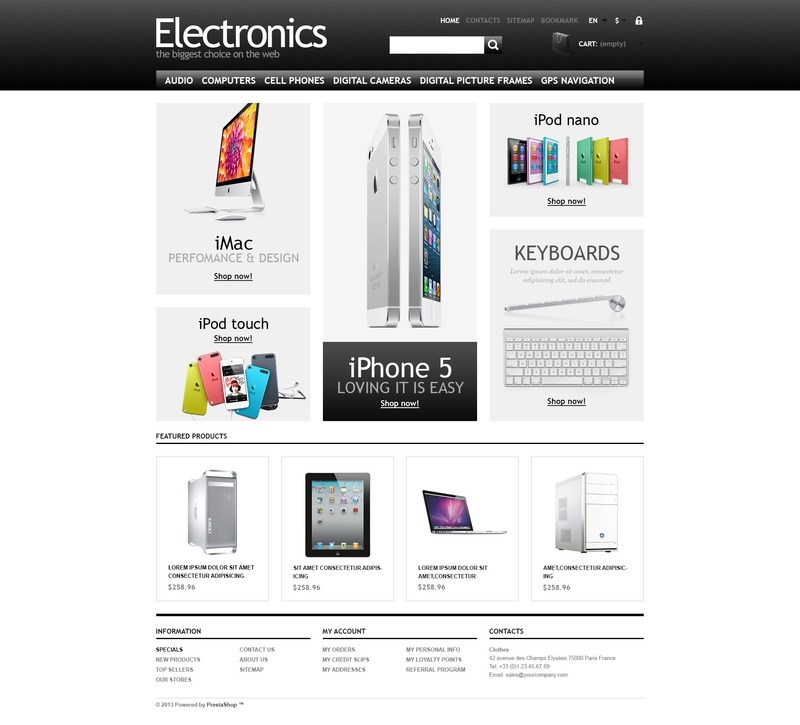 Large well-done banners occupy major part of the page and zoom in and out in accordance with user's mouse position. Featured products also change on hovering. Content areas are separated by borders. Large fonts are clearly readable and don't cause any discomfort for customers' eyes.